The Machine-Free Home Gym | Valet. The essentials you need to get a proper workout in your bedroom, the garage or even in your office. Having a home gym used to mean a dedicated room to house bulky fitness equipment and racks of weights. And only a lucky few had room in their homes and their bank accounts for such luxuries. Thankfully, the options these days are compact enough to be easily stored out of the way and quickly set up so you can get in a full and beneficial workout in any room of your home, or even in your office. Because the truth is, if you can do a snow angel in the space, you've got enough room to exercise. Here are the six essentials of the modern home gym. Why trip over a cumbersome set of kettlebells when you can buy an adjustable kettlebell which will save you both space and money? 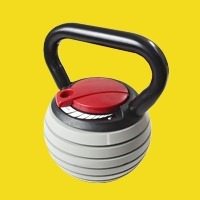 This starter option is seven kettlebells in one—ranging from five to 35 lbs—and features drop cast iron plates, a flat base for simple storage and an extra wide handle for an easy, comfortable grip. Could you use a fancy stationary bike or an oversized treadmill? Sure. But so many of those just end up being very expensive clothing racks. 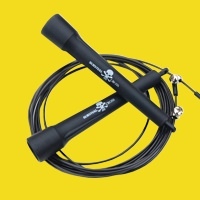 Instead, get your cardio like Rocky—with an old fashioned jump rope. A true head-to-toe workout, you've got to love an exercise that improves cardiovascular health and tones muscles while increasing your agility and endurance. Another good (and inexpensive) investment is a countdown timer, like the GymBoss app, which keeps track of intervals, circuits and rests. 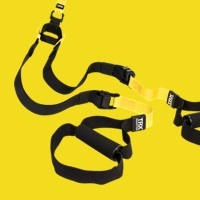 Originally designed for Navy SEALs, the TRX is the apparatus of choice for MMA fighters and pro athletes because it provides a quick and effective body-weight workout and can be used indoors or outdoors. 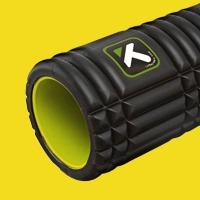 If you haven't experienced a foam roller's "hurts-so-good" muscle loosening powers, we'd suggest getting one. 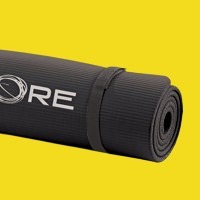 After your workout, the tool can target trouble spots, work out kinks and relieve stiffness and increase blood flow. 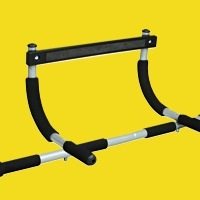 This solid steel pull-up bar easily fits over a standard door frame and uses leverage to hold it in place (without any screws or damage to your door). Ideal for pull-ups, push-ups, chin-ups, dips and crunches, there are three grip positions for varying degrees of difficulty. This one's not imperative, but if you're going to be regularly working out at home, you probably could use a comfortable area to do your pushups, planks and other abs/core exercises. It also provides quality traction so you don't slip. Plus, it's a useful barrier between your sweat and your carpet or hardwood floor. This one has convenient integrated velcro straps, which make storing it a breeze. How to conquer the intimidating exercise for a V-shaped torso and solid upper-body strength. The best defense against failure is good information. Here are seven popular workout myths and the truth and science behind them.